The statement adds that Bobbi Kristina is just now beginning rehabilitation "and the quality of her life will not be known for years to come." FILE - In this Aug. 16, 2012, file photo, Bobbi Kristina Brown attends the Los Angeles premiere of "Sparkle" at Grauman's Chinese Theatre in Los Angeles. Bobby Brown's lawyer has issued a statement clarifying remarks the singer made over the weekend about his daughter's condition. In the statement, Christopher Brown says 21-year-old Bobbi Kristina Brown has "opened her eyes" nearly three months after being found unresponsive in a tub at her Georgia home. The statement goes on to say that "there has been improvement" in her condition. 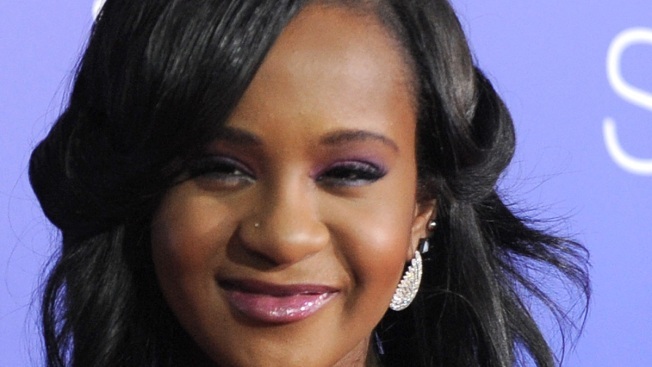 But the statement also adds that Bobbi Kristina is just now beginning rehabilitation "and the quality of her life will not be known for years to come." On Saturday night, an emotional Bobby Brown told concertgoers that Bobbi Kristina was "awake" and "she is watching me." Bobby Brown Tells Concertgoers Daughter Is "Awake"
Bobbi Kristina Brown is the only child of Bobby Brown and the late Whitney Houston.